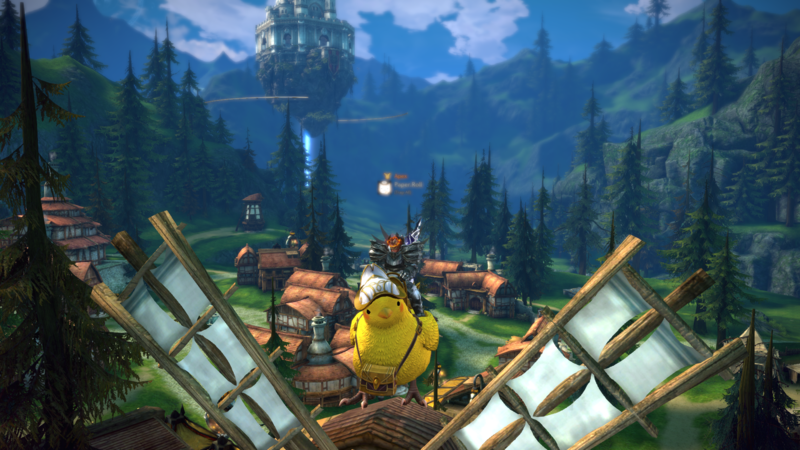 TERA PC - General Discussion: Get In Spired! It's Lancer month everyone! Here at En Masse, we take these months very seriously, and we level up the same classes with you. Share your Lancer stories here! Whether it's why it's a meaty back story for your character, your favorite class, what your experience has been trying it out, or anything you want to share about your experiences, let's hear it! I'll be sharing some of our EME Lancer stories with you as well! This is Definitely.not.Aman - my very first Lancer! I never thought I'd like being a tank, I usually like very fast, agile type characters. However, I've actually come to like using this type as it's cool to be able to get right up to the BAMs and just give them the business and know I'll be able to keep going without dying! Very empowering. Now a little about Definitely.not.Aman: Her name is the best (totally not biased or anything) and she's just your regular bad*ss. She loves all animals, especially anything that is fluffy. Her lance's name is Lancerlot which she loves it very much, as it was a gift passed down from her late father, who also liked little fluffy mammals. Her father used to own a farm where they rescued tiny fluffy animals in Two Oakes Ranch...when one day the most rabid giant purple Ovolith came and attacked, and ate up all of the fluffy animal friends that her and her family and devoted themselves to care for. Her father, in a rage, went out on a quest to kill this giant purple Ovolith and returned with it's head 6 months later. He quickly retired afterwards, and gifted Lancerlot to Definitely.not.Aman. Thus promising herself that she would be the protector of all things cute and fluffy in all of her adventures. Enmasse hasn't taken anything in this game seriously for over a year now. Especially you. Worst CM I've seen in any community, gaming or non-gaming. If EME are levelling up the same classes how come they dont understand the huge balancing issues that the playerbase is complaining about? So I like playing my lancer. A lot. So much so that when it came time to launch TERA on Xbox One, I started recreating my characters from the PC version, in chronological order. Starting with my lancer. Mister.Mittens and I have spent hundreds of hours roaming the continents, gathering, slaying, and generally looking cool. Recreating him on console guaranteed me another max-level character, and brought back a lot of fun memories from our early betas and in-house leveling events. I won’t lie, Mister.Mittens is the coolest cat that ever catted. He doesn’t duel, doesn’t have the best gear in the game, and even though I’ve played him more than any other character in my roster of 65s (barely—my gunner has a Champion Laurel, but is still a full day behind MM), he’s the one I’m least interested in changing. He’s so cool I burned a few thousand fashion coupons so that the majority of my characters on that server could dress the same way he does. Yeah. I have one. I hunted everything in every zone, and unlocked the coolest mount in the game as soon as I could. When flying mounts came out, I got a couple for the stable, but this cat is 100% content to keep all four feet on the ground. For this month’s lancer leveling event, my goal is to take a new lancer to 65 on every server, and I’ve already got two of them checked off. But none of them are Mister.Mittens, even though they’re using his skill bar and glyphs. When I’ve completed my set, I’m taking him on another world tour and killing any world boss I see. Stick to the topic of the thread. We all know our new CM is not a skilled player of TERA, so we do nothing by being toxic and lashing at her. The best we can do is to help her grow as a skilled player as she works as our new CM, that way we can create a stronger relationship in between EME staff and playerbase, plus the more she plays, the more she will realize the countless problems plaguing the game, its only a matter of time, which you guys are even giving her. The point of this thread is to gather inspiration, not to mercilessly lash at our CM like the other guy did before you. Im not siding with EME or the playerbase, just saying that some actions arent called for in this type of threads, and i highly dislike the negative behavior our community has currently. For the same reason they keep messing the game up this last patch totally messed the last boss up on the shatter fleet dispite a long maintain that ran way pass what they said and 2 day later not a word about it or a fix maby they need to get rid of the interms and stop playing and start fixing this mess before every one just says ok im done. The only problem here is the publisher management absolute incompetent,deaf and blind when we give them ideas to get things a little better for all,about 75% of the forum is about something wrong,steam charts are embarrassing how many left this game each month,new players leaving the game half way...do i missing something here? wait...guild system absolute broken,about 3000 guilds maybe 20 active half way,this is making people separate and get discourage about Tera,and you bring me someone pretending to be cute an innocent and talking nice to player base with silly pictures you thing is going to do any better for this game? please wake up,let's do something to keep the game alive i want to see the ideas come alive and leave cuteness for when this game runs the way is suppose to.WAKE UP! Would rather create a new feedback thread, since i think the last one got locked, instead of invading a clearly NON FEEDBACK RELATED thread only to ATTACK the community manager. Cute pictures wont make the game better, but that's not the topic of this thread. But if you think attacking the EME staff on every possible thread you see their posts, is gonna solve anything, then we aren't doing anything, we are just adding to the problem by being a whiny community that feels entitled to everything. I have already come to accept that half of whats going on is not EME fault, but the incompetence of BHS. EME, even as a subsidiary, can only watch as they are the publishers and have limited control over the game. The other half i completely agree it was their fault (summer event being a complete disaster and their constant use of loot boxes on every new shop release, fully knowing players are unhappy with them) But i will stop now and let the CM do whatever she wants with our comments here, as they are not related to the topic of this thread. I can always gather receipts from the forum archive. It's not a trade-off. They should be actively playing the game and enjoying it, and also working to make it better (which flows in part from playing it). It's not as if playing the game is taking time away from fixing it, or that these people have any direct ability to fix the issues you're talking about anyway (that's almost entirely on BHS and the production/development staff, not community and writing teams). No benefit in barking up the wrong tree. May as well close this thread since nobody has anything "fun" to share the story. We aren't in the healthiest condition to make this kind of forum game. People are starving for good news or at least some care from the publishers. Sorry that you had to see this new CM, but you and this game can't afford this kind of pinned topic about sharing stories when the playerbase is losing huge morals. what's inspiring ? the fact that this lasts way too long.. a whole month..
everyone forgets about after a week. a week per class is what real players would suggest. lancers, old class, nothing inspiring about them. let's switch this around : en masse get some insight :P ! This is Paper.Roll, The aman Lancer! While his name may not sound all that threatening, he is more than meets the eye! Having being raised as a farmer, his hometown is Lumbertown. When the argons attacked, the Federation called many, and Paper.Roll saw this as his chance to shine! Being gifted a heart of gold, he always protected the weak, despite him being weak when he was merely just a farmer. The Federation saw the fire in his eyes, and knew the perfect role for Paper.Roll was Lancer! After rigorous training under the best of the best, he became a powerful Lancer! Able to protect his hometown against the hordes of Orcans and ravenous beasts that started to run wild during the Argon Invasion. Together with his trusty Song Bird, he protects the town where he grew up. While his exterior might look intimidating, he really is soft and gentle with everyone, specially animals and elins! His Song Bird grew up together with him and eventually became his partner for traveling everywhere. Now he still protects the town of Lumbertown, but when the federation calls, they know that he will get the job done. Meet Genetix a retired lancer coming out of retirement when he heard that there is need for tanks in the front lines, as new enemies are rising up everyday. Currently lives in the beautiful village of Crescentia where he raised his two beautiful daughters who followed in his stead and became tanks also he’s so proud of them and what they have accomplished despite their mother dyeing a long time ago on the front lines. Genetix is currently getting back into shape as he wants to do his best to make tera’s world a safe place. Training every day to rejoin the front lines with his daughters. ah... my darling pretty Neverita... do you miss me? are you waiting for me there on TR? i miss you Rita too. so much. those blasted daily deals and xigncode have separated us. will we meet again? hope, love, forever yours, kubitoid. and they say that r.p. is dead lol. From the time I started playing MMOs when I modeled my first character after Emily the Strange, “Em” has been the first part of every character name I play. I already have a lancer named Emz, so wanted a special name for the lancer leveling month. The name came first, then her appearance. I love the Serena Williams-esque musculature of the amani female, she just looks powerful. All of my lancers are amani females. I played elemental mage classes in other MMOs, but found when I first started playing TERA that I was terrible at leading my targets with distance blasts. I’m also pretty bad at shooters. Yet I really loved the dodging / blocking aspect of TERA’s action combat. Somehow, I found my way to the lancer even though I never played tanks in other games. I loved it. I’ve played more lancers than any other class in TERA. There’s something really satisfying about thumping an enemy with a Stand Fast / Shield Counter combination. Of course you all know Geletron - here's his lancer! Johnny dreamed of being a lifeguard. As a kid he practiced swimming in the water near Velika and studied first aid with the local priest trainers. All his hard work eventually paid off when he was selected to be a lifeguard on beaches west of Castanica. Working at the beach was a dream come true. Johnny spent his days watching out for tourists who wandered a little too far from Wahmel’s melon bash game or who got a little too aggressive with Chelton’s splash cannons. Occasionally he was called to provide some first aid to adventurers trying to gather horns for Dolme to carve. One day, while Johnny was helping Langon build some sand castles, a giant crab appeared and started attacking the guests (this was despite the promises that there would be no crabs). Johnny moved his tactical belt bag to his hip and darted toward the nearest arms crate. He grabbed the lance and shield inside and made his way towards a rampaging crab. He was easily outmatched, but his efforts did allow many of the guests to get away. Impressed by his courage, an officer of the Valkyon Federation recruited Johnny into the army and sent him to Velika to train. Soon he will be strong enough to protect his comrades as they take on new threats from northern Arun.